It is always interesting to see a company's M&A strategy once it IPOs. 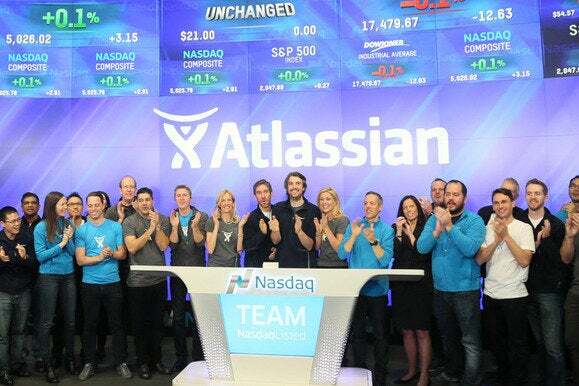 Atlassian today made its first post-IPO deal. Newly-listed developer tool vendor Atlassian has acquired StatusPage, a startup in the status notification space. Founded back in 2013, StatusPage is answering the critical demand from operations teams for up-to-the-second visibility around the availability and status of the different services they use. There is an interesting backstory here -- Atlassian is actually a longtime customer of StatusPage using it to deliver insights across a number of its different services -- Status, Bitbucket and HipChat. Other StatusPage customers include Intercom, Venmo and NewRelic at the smaller end of town, with large companies like Intuit and Citrix also using the service. According to Atlassian, StatusPage will continue to be offered as a standalone product -- in fact, Atlassian suggests that they are looking to accelerate StatusPage's development as a standalone product. At the same time, Atlassian is looking to deepen and extend its integrations across the Atlassian product range over the next few months. StatusPage isn't just focused on delivering public information -- it also delivers its service into a number of internal teams within organizations wishing to ensure everyone is up to date in terms of service availability. It also has a longstanding integration with communication service HipChat that allows individual HipChat "rooms" to get real-time status updates. This makes sense from both a business and a technology perspective. From a technology perspective, Atlassian has both an ever-increasing range of different products and this sort of monitoring solution delivers an all-important fabric across all of those different services. From a business perspective, it also provides an opportunity to increase Atlassian's presence within organizations -- it helps the company sell additional products into existing customers and also broaden its uptake within those organizations. Fundamentally, the increasing homogeneity across applications and infrastructures calls for a broad monitoring and status notification offering -- that is a core requirement that a vendor like Atlassian is well placed to deliver upon.